Mercato Centrale has been the birthplace of many fast-growing food companies including Manang’s Chicken, Mochiko, Merry Moo, Chuck’s Grubberie, Mio Gelati, Spring by Ha-Yuan, Kristina’s Inutak, Zen Taclings, Brasas, Eat My Garlic Fries, Sunrise Buckets and many more. 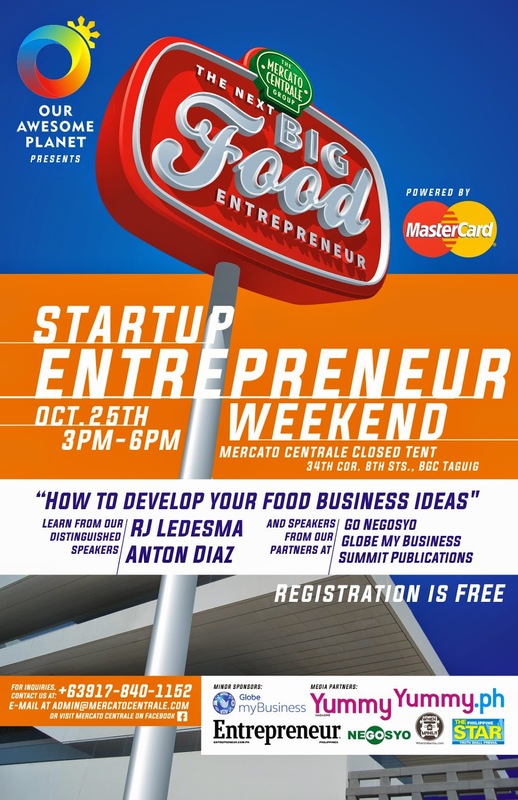 The seminar also serves as a jumping off point for applicants interested to participate in The Next Big Food Entrepreneur Contest at Mercato Centrale, where the winner goes home with P100,000 and a six-month rent-free stay in Mercato Centrale. 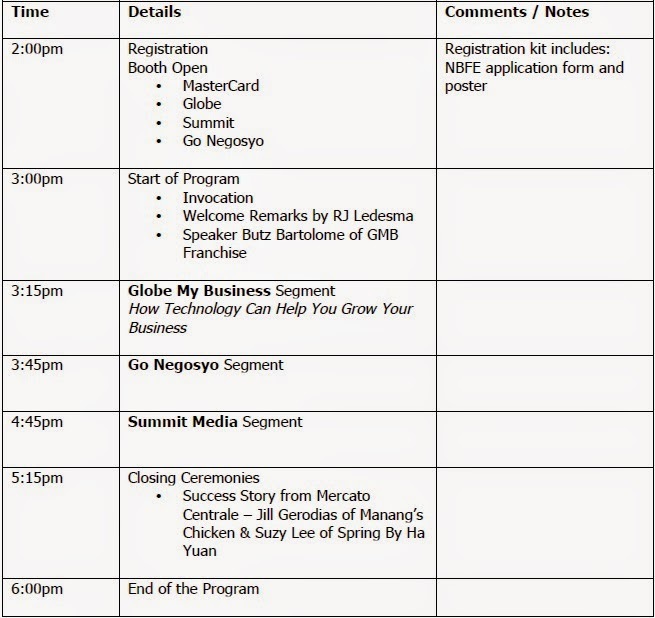 To register for the seminar, please contact 09178401152 or 8120212 or email admin@mercatocentrale.ph. Visit www.facebook.com/mercatocentrale for more information. Please register soonest as there are limited slots available.